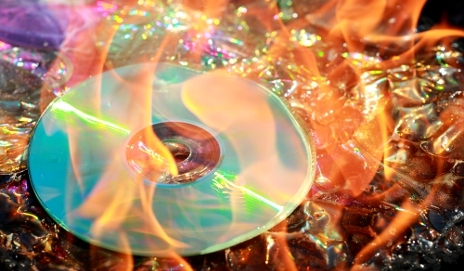 Is this the end of physical formats? Since humankind first scribbled on cave walls there’s been countless ways to document information. But with the advent of MP3s, GPS and ‘the cloud’ could we be saying our last farewell to physical formats? The latest digital format to grab the world is the Blu-ray, and it marks a huge leap forward. A twin layer Blu-ray disc can hold around 50 gigabytes (GB) of data, which is more than enough room for a high-definition film, or even a 3D one. But will it be enough for the 3D films of the future that don’t require 3D specs? The format saw off its HD DVD competitor back in 2008, but is another challenger lurking in the shadows? Perhaps Blu-ray will be the world’s last physical disc, as we begin to download films and games straight to our hard drives instead. The Sony Walkman revolutionised portable, personal music and the iPod took it to another level. But in my opinion, this format is far from perfect. MP3 audio is so compressed that it lacks its original hi-fidelity, and you can’t lend an album to a friend like you could with vinyl. Maps have taken a hammering in recent years, too. GPS has muscled its way onto mobile phones and cameras. And I can see the benefits. When you’re taking a trip it’s best to travel light. A road map of France is likely to hold more information than you’ll actually need driving all the way down to Nice. Plus, GPS maps are more personalised. If you’re a vegetarian your GPS could direct you to a suitable restaurant, or if you’re a blues fan it might let you know of a little blues bar round the corner from your hotel. It might take the adventure out of travelling, but oh, the convenience! Time to move onto ‘the cloud’? But don’t be tricked into thinking that the digital stampede will end once it’s obliterated its analogue and physical counterparts. I don’t think people will be satisfied with emptying the VHS drawer beneath the TV – I can see them wanting to reclaim the space on their computers’ hard drives too. In time people will still own the maps, songs, video games and news that they buy. But they won’t be able to touch them physically – or even see the space that they occupy on their multimedia tablet’s memory. Instead it’ll all live in ‘the cloud’ and be accessible over the web through any media portal of choice. Please let this never happen! There is nothing to beat the pleasure of holding an old, well loved book or crisp newspaper in our hands. Agree with Michelle. If you don’t own a physical copy you don’t own anything. If the company, or for some other reason, go bankrupt or cease to distribute/support they product, say bye bye to all your items. Just like today, Microsoft and EA and both full control of your content and they decide if you can download them even if its already purchased. Today, a ban from EA forum equal a ban to all your online games and a ban to your digital content. not only will I have to pay 70$ the game, 300$ the game console and 50$/month for an active internet connection to play….I will then have to pay an additionnal 30-50$ fee if we exceed our download limit. We are gamers and our gaming will be limited by our country and our internet. Like Michelle – I love books – I have several 1000 – They can be read anywhere – no batteries to worry about – put in your pocket – and are very tactile. GPS is good however – as it should mean it is up to date on all forms of road conditions. Maps usually aren’t – but Maps are great for hiking with contour lines included to help with hiking. One of The joys of hiking is the superb detail on maps allowing wonderful detours to be made. Somehow I feel GPS is rather more soulless. The problem is the antiquated and bloated format that the industry insists on using to make you purchase new players and new disks. Even the longest of movies in the highest quality can be provided in just a few GBs which you could download in a couple of hours or less. With books, think of the trees! The new readers use a minuscule amount of power and will store hundreds of books in the space needed to store just a single book. Maps are such lovely things, a joy to peruse and examine. Online versions & SatNav don’t come close. People will always desire to OWN something. To have a physical representation of something they like that represents all there hard work and energy. Formats and methods of selling may change, but you will always need a way to store purchased information that is in YOUR control. The cloud may offer a way to hold that information, but it is definitely NOT in your control. Digital content services like iTunes are the future along with very big hard drives to store all that information or whatever they will call it in the future. Purchasing items on a physical format like BluRay will probably still happen for at least another 20 years. vastly overpriced – it should have come down to near the CD-ROM costs and replaced it by now – the tech doesn’t cost that much more in mass production and does not justify the high costs. 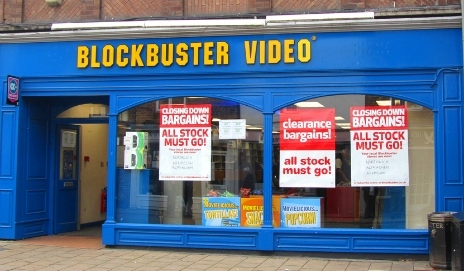 Ask Blockbuster how many they rent – its dying. I’m sure everyone has at sometime or another suffered a data loss and had to resort to their back up (if it exists). I’m sure that the cloud will change computers and the internet, but people will still want accessible backed up copies of their files. I’ll probably keep files on the cloud myself someday, but anything that’s important/valuable/private etc will be backed up and stored under my control – consequently the cloud won’t replace personal data storage (although the medium may change) it will just add to the alternatives. It is a big ask for people to believe that the policy of the company operating the part of the cloud where their data is stored won’t change its corporate policy or levels of customer service – the very pace of technological change and the apparent lack of ethics in coporate circles make this unlikely. No matter how much you ‘own’ it you can not control anything that is not easily and physically accessible at arms length. Cloud means a server (perhaps several) somewhere well out of your reach and absolutely out of your control. Think lack of ethics in coporate circles coupled with invasion of all your affairs, not just privacy, by the governments. I remember a time when newspapers in this country used to laugh at the cold war era soviet model of just 2 official newspapers and the state organs getting everybody to spy on everybody else or else. Except that it is done with whipped member votes in parliament, can anyone tell me how it is different in the west now? I particularly share Ben’s regrets regarding the poor sound quality of MP3 audio. Athough the format is highly portable it has, along with the inability of the industry to agree on a standard high density format to replace the CD, stalled the progressive development of affordable high quality audio. A great loss for hi-fi enthusiasts such as myself. I agree that MP3 is not a good format. When memory was expensive and download speeds were dog slow, the format was a breakthrough. Now memory is as cheap as chips (almost given away for free in your breakfast cereal) and fast download speeds are becoming more normal, it is time to adopt a lossless compression such as FLAC. Some sites are already offering FLAC format and it is definitely the way forward. But they are few and far between. Much as I enjoy and admire the astonishing advantages offered by the internet and the ever-increasing capabilities of digitally-based devices, we all need to remember that a burst of electro-magnetic energy, whether from a weapon or from some astronomical event, could completely erase digitally based information and leave the planet relying on what survives of older methods of recording. For this reason alone, ownership of information in the form of books or analogue recordings will always remain essential. With the EMP event you visualise, loss of electronic equipment would be the least of our worries! The sooner we dump physical media, the better for the world. Blu-Ray is an example of media designed by marketing: it is idiotic to need 50 GB space for a movie regardless of its quality. The movie industry insists on using a bloated, antiquated format in order to sustain the need for expensive packaging, shipping, middle men (distributors) and shop sales. A simply non-lossy compressed format for downloading is all that is needed for even the best quality. Blu-Ray is a pathetic format contributing to loss of the world’s resources. Hmmm, could never imagine replacing my maps with GPS. Lost on the fells in fog with a Gps or map and compass? Give me my map an compass any day of the week, no batteries to run out and you don’t have to worry about signal lock! New tech is great, Mp3 players mean I can take my music with me, GPS is fun I can download routes from my pc but, I’d never replace my CD’s DVD’s or maps regardless of the space they take up in my spare room/wharehouse! They have weight and substance not just an file in a folder there only on the whim of Microsoft windows until it decides to crash and take everything with it! Aargh! Why the all or nothing arguments? Travel guides, year books and magazines might well be best distributed to a e-reader because their content is ephemeral and will soon be outdated. Shakespeare’s plays, Jane Austin and the latest Booker prize short list will be with us much longer and paper books provide a long lived method, congenial to many, of distributing them. For films I agree with the “I want my own copy” argument. We have already seen Amazon deleting peoples e-books and Microsoft was about to delete all the music from people who had bought downloaded music from their closed MSN Music, until they were persuaded of the error of their ways. The huge size of films makes individual downloading a waste of resource, compared with the synchronised downloading that is TV. I agree that Mpeg4 encoding would be more efficient than the current Mpeg2, but I am the customer who buys DVD special editions and avidly watches the “Making of” features as well as the Extended (=longer) main feature, so there would be no net (sic!) saving. On the other hand like other readers I downloaded the latest Harry Potter trailer within hours of its release, an example where downloading was appropriate and timely. Similarly some of the items available on IPlayer though interesting to see once, would never earn a second viewing, so I am happy to download. Old technologies are resistant anyway – just look at the revival in vinyl records and valve amplifiers. I borrow French DVDs from the Alliance Francaise library in Glasgow every week and pay a small subscription to do so. I couldn’t afford to buy as many as I watch. Many people who borrow DVDs and CDs from their local library regularly are in the same position. Hardware that doesn’t play DVDs is no use to us. It’s an exclusive technology in that respect. Everything looks better in HD… right?